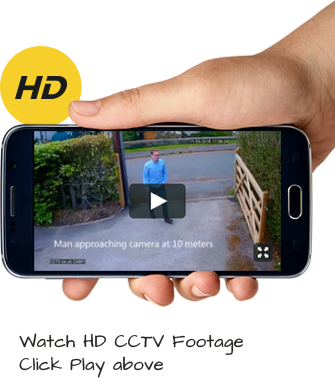 Modern CCTV Systems for both the home and business allow you to view CCTV footage via your iPhone – helping you keep an eye on your property while you are away. Our systems are all compatible, and as long as you have broadband in the property where the CCTV System is to be installed, then our installers can link the DVR recorder box and your broadband router to allow you to log in and view images. Being able to remotely view your CCTV cameras has massive benefits to many of us who travel or work away from home. You can quickly and easily login via your phone to view what is going on at home, giving you total peace of mind. Part of our installation process is linking your DVR box with your broadband router – ask us for more information! There are a number of ways to connect your CCTV system to your iPhone. For example the easiest way is simply to log directly into the DVR box from an internet connection, alternatively many manufacturers offer an App while gives you the ability to log in and control cameras and views. Please ask us about these two options. If you’d like a quote for installing an iPhone compatible CCTV system in your home or business call us directly on 0800 211 8310.